Several weeks ago, I went to look at a car in Denver, NC. My mom and sister went with me in case I decided I wanted the car. Mine is fine, but it’s older with a lot of miles, so I want to start looking around. I have wanted a Mini Cooper for YEARS. A friend of my mom’s called to tell her that a friend of his was selling one within my budget. Obviously, I wanted to test drive it as soon as I could. A few days later, we were making the 50 minute drive to test drive it. The car ended up having way more miles on it than we were told (100,000 more), the racing stripes were fading, and the tires were balding. Hard pass. Our trip wasn’t a total waste because we went to lunch at Sports Page. About a year ago, we were in Denver getting new iPhones and switching phone companies. My mom knew a woman who worked at this location, which is why we drove so far. Sports Page is nearby, so we went there for lunch. They had options for Nikki and had good food. Fast forward to a Saturday earlier this month and we drove 8 miles to Sports Page for a late lunch. The restaurant is located at the end of a shopping strip. When you walk in, there’s a bar to the left and regular seating to the right. Also on the right is a patio that can be covered. We opted for the restaurant side and were seated in a roomy booth. They don’t have a large selection for Nikki to choose from, but they do have gluten-free buns. She decided to order a burger with lettuce and ketchup. Their fries aren’t cooked in soy, so Nikki was pretty happy that she could order them. Nikki enjoyed her meal, but thinks they changed brands for their gluten-free buns. She thought it was good, but not as good as the one she had the first time. You can never have enough ketchup. After looking over the menu several times, I decided I couldn’t pass up a Cuban sandwich (hold the mustard) and fries. It did not disappoint! 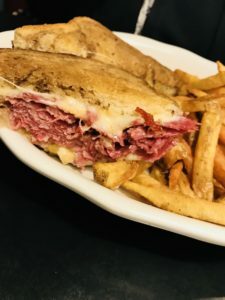 Our mom had the Reuben (with corned beef) with fries. She really enjoyed her sandwich as well. It really nice to find restaurants that have options for Nikki, even in smaller cities. 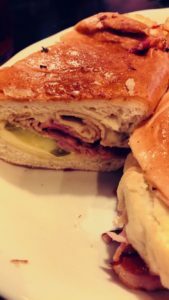 I love a good Cuban sandwich! 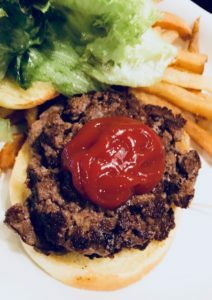 If you want more restaurant reviews, check out what to order at Trail House, Wayback Burgers, Ruby Tuesday, and Which Wich?. I don’t think I have heard of a Cuban Sandwich. I am glad your trip to the Sports Page was worthwhile though. Traveling with food restrictions can be such a pain. I know that since I am a vegetarian. It’s always nice to know where to eat and how to order when you are on the road. Your post is very resourceful. Thank you, Sonal! Traveling with food restrictions is definitely tricky, so I like to share the places I find in case it can help others. It’s so great to know of safe foods for people with dietary restrictions. 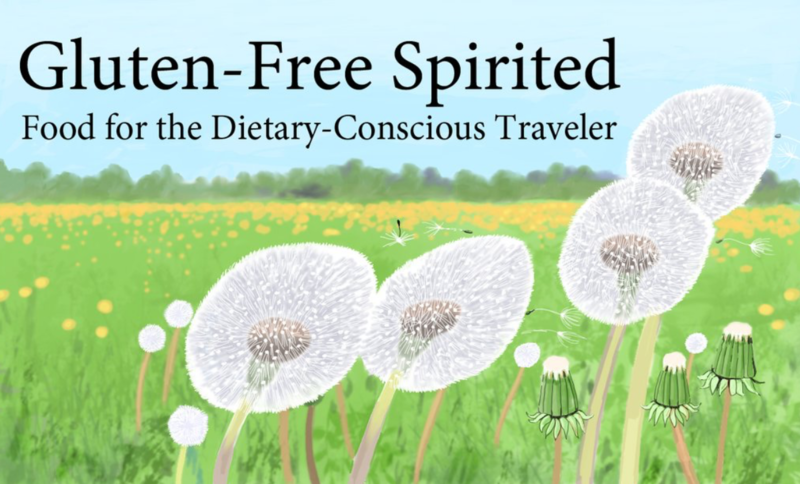 My mom has many allergies and intolerances, so travelling with her and finding a safe spot to eat can be difficult. This website is such a great resource!! Thank you, Emily! It can be really difficult, so I like to share when I find places that might be helpful to others. Wow! 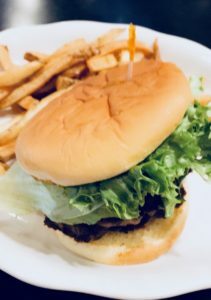 That looks like a delicious burger for gluten free. I’m the only one who enjoys eating it. At one point I thought I was allergic to gluten and started gluten free everything. She really enjoyed it. Gluten can definitely cause issues for some people. I’mm glad you had a good time with your girls even if the car didn’t live up to your hopes – the right one will come along. All this food looks absolutely delicious! I don’t often eat burgers but on the rare occassion I do I always hope its going to be amazing! I’m glad the day wasn’t a total loss and I got a blogpost out of it (and yummy food)! It’s hard to find proper food out. Especially if you are on strict medical diet, it gets even harder if it’s temporary. Congrats on turning one first of all! I’ve never heard of this place before but glad you were able to find awesome food!Everything looks so mouth-watering! Thank you, Mika! It’s always great to find options in smaller cities/towns too! Happy blogaversary! Traveling with food restrictions can be so tricky and surely need planning ahead of travel. I am glad you were able to enjoy the delicious gluten-free burger during the not-so-successful trip to purchase the car. The place sounds good, I would love to check it out next time I am around. Thank God I dont have any dietary limitations. But if I did, it wont matter as this looks great. It can definitely be a pain! Luckily, there are more and more yummy options to choose from. That burger looks really delicious. and traveling with food restriction is so awkward and difficult. and I am glad that some of the restaurants have a gluten-free food. It really is, Angela. I like to share the info that I find like this to cut down some of the leg work for others and let them know who may have options for them. All these sandwiches look delicious! I’m glad you could find options for Nikki even in a smaller city! Thanks, Nati! It’s nice to find options in places you wouldn’t think would have them. I developed a food allergy last year. I have struggled with food choices often and either I’m too full or still hungry. I make notes of people who find place you can eat and be glutton free. Tesha, I know that’s a difficult struggle. That’s what I like to share the restaurants we find that have options for those with dietary restrictions to make it easier for them.